The biggest attraction on Maui is more than 100 ft. below the ocean’s surface and Atlantis Submarines is your ticket to this once-in-a-lifetime undersea submarine adventure! You’ll be traveling aboard a high-tech 48-passenger submarine, as featured in National Geographic television specials, in air-conditioned comfort and safety. I checked in at the Atlantis Submarines shop located in the Pioneer Inn on Front Street in Lahaina, and promptly embarked on a boat that took us out to meet the submarine. The skipper of our vessel, Captain Steve, welcomed us as we boarded and everyone got a window seat with super large viewing portals, and a marine life identification card. The submarine affords a lighting system that wraps completely around the outside of the vessel and lights up the reef area like a ballpark! This is a very relaxing way to enjoy the wonders of the underwater world of Maui without getting wet. The Captain explained in detail (and with some humor) the various coral formations we encountered. I also saw a variety of fish, including butterfly fish, three Hawaiian sergeants (a type of damselfish), several sleek unicorn fish, and much more marine life. 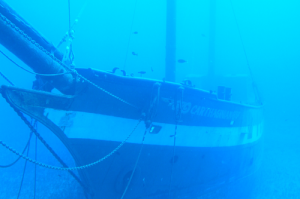 Seeing the sunken Carthaginian, a replica of a 19th century supply vessel, used to create an artificial reef that will have lasting marine life benefits was very fun and interesting. 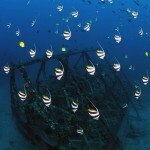 Book online at AtlantisSubmarines.com, or call for reservations at 808-667-7944.